September is an awkward time of the year — it will still be summer for a few more weeks here in the northern hemisphere, but the start of both the harvest cycle and the school year are upon us, too. Still time to play, but work beckons. This situation inspires me to review three new books from the University of California Press. We’ll start with a bit of summer wine touring, go on to autumn wine making, and then head back to the classroom. 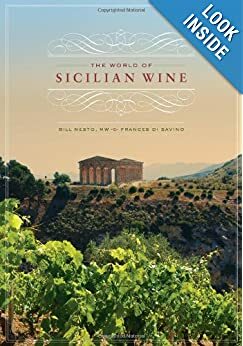 The World of Sicilian Wine by Bill Nesto MW and Frances Di Savio. University of California Press, 2013. I admit that I didn’t know very much about the wines of Sicily before I picked up this interesting and informative book. I guess I just didn’t realize what I was missing! The authors really do take the title seriously, revealing a stunning 360-degree examination of Sicily’s world of wine. Many (most?) readers will be drawn to the excellent discussion of Sicily’s wine grapes and the detailed survey of Sicily’s regions that make up the second half of the book. After all, if you are interested in understanding the wines themselves as a consumer or enthusiast or perhaps visiting Sicily as a wine tourist, these are the critical sections. But I have admit that I was fascinated by the introductory chapters, too. The authors drill down into Sicily’s wine history and the factors that unexpectedly pop to the surface are politics and economics! Perfect for a political economist like me. I was surprised, but I guess I shouldn’t have been. After all, what about Italy is not political? And what about Italy is not economic? And Sicily, with its unique position in terms of politics, economics, history, and geography is a completely fascinating case. My favorite sections? The analysis of how external factors (trade) and internal incentives (quality versus quantity property rights structures) shaped – or rather pushed and pulled – Sicily in its key formative decades. And the analysis of the European wine policy and its changing impact that opens chapter 3 is worth the price of the book alone. Never seen this explained so clearly. Highly recommended. Postmodern Winemaking: rethinking the modern science of an ancient craft by Clark Smith. University of California Press, 2013. I know Clark Smith’s name from his work on music and sensory appreciation of wine, but within the industry he is seen as something of a winemaker’s winemaker – with a twist. His monthly column “The Postmodern Winemaker” in Wines & Vines magazine is required reading for anyone interested in the cutting edge. These columns and other previously published material, edited to be accessible to a broader audience, are the basis for the book. The book is a complex blend of theory, practice and philosophy. It wouldn’t hurt to have a good background in both postmodernism and winemaking if you want to get the most out of it. (Smith provides a handy winemaking primer in an appendix, which is worth having on its own, and also a glossary of postmodern terms). This is a very personal book, based on Smith’s years of experience. It might not be a book that you sit down and read from cover to cover. It feels like it wants to be read a little at a time, and not always in the given order, and then digested for a while. Or maybe that’s just my reaction because my background in viticulture and oenology isn’t as strong as it could be. What’s the bottom line of Postmodern Winemaking? Well, I think the book rather intentionally resists a one-line summary. Certainly there is a lot of technical and technological discussion here and the notion is that technological advances are not always progress. The postmodern winemaker uses technology, that’s for sure. Woodchips, not traditional new barrels or popular staves, are an integral part of Smith’s winemaking (he hasn’t bought a barrel in years) and I was fascinated to learn about a controversial process called flash détente. But it’s important never to let the science run the show. I talked about Smith’s book with an Oregon winemaker recently and her takeaway was that the march of technology was shrinking her niche — highly natural wines of origin — into a tiny sliver. She was quite upset — she knew she was fighting a battle, but she didn’t quite realize how outnumbered she was! That’s not the message I got from the book, but I can see how she would read it that way. Interesting. Challenging! Definitely worth your time, whether you are postmodern (or a winemaker) or not. American Wine Economics: an exploration of the U.S. wine industry by James Thornton. University of California Press, 2013 (to be published in September). Finally, with classes starting up I am reminded that there are now some university courses on wine economics and so what could be more useful than a textbook on this subject? You might think that I would be the author (and that this post would be filed under Shameless Self Promotion), but I have sworn off textbooks now that I have retired from teaching – I wrote or co-authored textbooks in economics, public finance and international political economy earlier in my career. 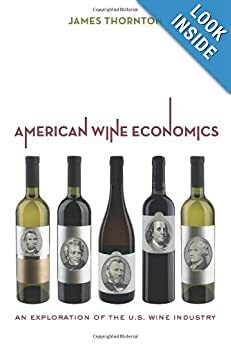 This book is called American Wine Economics and it focuses on the U.S. wine industry of course, but with due acknowledgement that the wine world is a very small one now and that international and global integration is a powerful force. 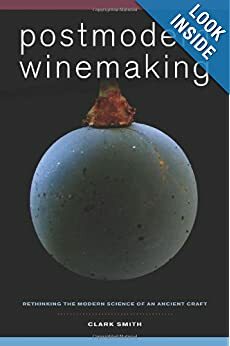 This book, due to be published later in September, fills a useful niche and I think it has the potential to expand the number of wine economics courses both in the U.S. and abroad. The core of the book is a survey of the wine economics literature presented in a way that will be accessible to readers with at least a little economics or business background. I am grateful to see all this material collected in one place. If I have a criticism it is that the book is too ambitious (or perhaps it is too cautious?). You need to understand something of wine to understand wine economics, so the author provides a brief primer such as might be found in a basic guide, which will do its job for newbies. You also need to understand some economics concepts and tools, so these are presented as well. The result is that there is a lot of background material to get through before the core chapters are finally reached. A less ambitious author might have sent readers to specialized publications for the wine and economics background or put the primers in appendices. No perfect solution, I suppose, and this is probably a good compromise. The core chapters certainly are meaty. If you have an interest in pushing deeper into the academic side of wine economics, this is a good place to begin. « Fine Wine: Alternative Asset or Emerging Market? What is with the extraordinary prices of so many wine books? Postmodern Winemaking is c$200! Another you recommended last year was about there. I have no need for any of the secrets which may justify the price – just enjoy reading and interested in technical details. Hope this gets cleared up soon. Rob, I checked with UC Press and they tell me the title is out of stock right now awaiting a new printing. Should be available (at the regular price) at the end of the month.